Even the biggest skeptics of the consequences of human-caused global warming cannot deny the increasing volatility of weather conditions. While you cannot change the course of the world all by yourself, going out of your way to reduce your own carbon footprint is a matter that makes a difference as you set an example for your neighbours. One rock does not make a mountain, but keep on piling rocks and you will eventually get there. This is why you should never give up or think the change is futile. With that in mind, here are some green renovation tips for your home, weekender or rental property. Replace the old appliances While this is stretching the concept of renovation as such, replacing the old appliances with new ones can truly be a feat of gargantuan proportions. Considering how big and bulky some of the appliances ripe for replacement can get, it fully justifies calling this a “renovation.” Still, on paper, the task itself is not particularly complicated. You just need to visit the local big retailer that deals in household tech such as washing machines, dryers, dishwashers, stoves, etc. and look for the ones that have an ENERGY STAR stamp on them. 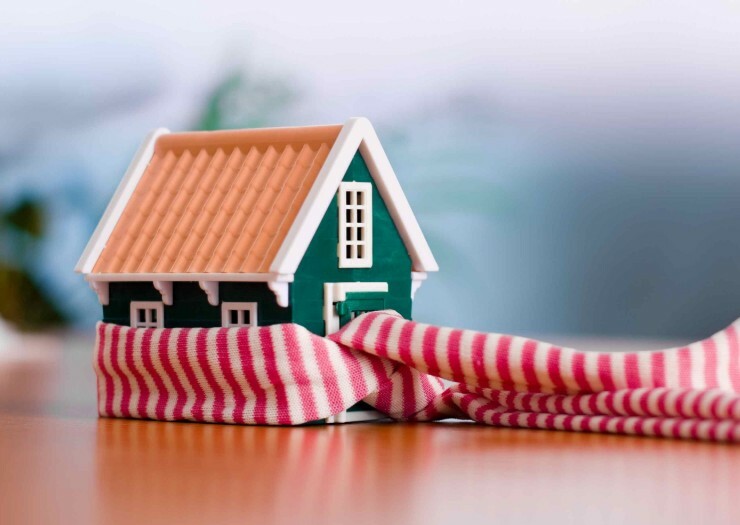 Improving insulation is one of the most common green renovation tips for both private households and residential buildings. The downside of such a project is that it gets invasive – you’ll probably have to prepare the interior, let the professionals tweak around your house and even break down the surface layer of the wall. This process carries a set of health hazards along with them, and both the professionals and your family need to be protected from the dangerous chemicals as well as the discharge from your household’s electrical grid. Safety equipment that includes masks, helmets and gloves is a must, and latest additions to the building process such as insulated fibreglass screens that secure metal scaffolds which can easily turn into electricity conductors can help improve the safety of the site significantly. Such undertakings will cost you a pretty penny and you’ll probably have to move out of the household for at least a few days. On the other hand, if you choose a quality material such as the latest insulation foam that can be applied quickly, you’re truly sparing yourself a lot of headache in the long run. The isolation and integrity of your household will be stronger and more lasting, plus your utility bills, especially the electric ones, will get significantly lower. LED lights all the way Now that we have mentioned electricity, LED lights are the most ubiquitous and most non-invasive “renovation” material for your household. Just take a few hours out of your weekend to replace all your CFLs or incandescent light bulbs with the LED variants for more reasonable electric expenditure as well as a lowered toxic hazard (CFL lights are known to contain some truly dangerous chemicals). By replacing your entire light grid with high-quality LED bulbs, you’ll start getting significantly lower electricity bills as soon as the following month. Solar panels Of course, you can reduce your electrical expenditure by opting to install solar panels on your home. While the process requires several stages which include terrain assessment as well as several stages of installation and maintenance, the end result is a self-sustaining home that produces most of its electricity. Many people still consider solar panels a renovation feature out of their price range, but the promotion of green thinking by government institutions as well as big corporations has lead to the assembly of some truly nifty financial packages that include prolonged solar-panel credit without the option of increasing interest. Renovate with recycled materials As civilization erects countless buildings, both residential and municipal, we are constantly looking at the ever-increasing excess of extra material that can easily be reused. Old buildings are being torn down and people tend to discard the used material after their own personal renovation is done. All these streams of precious material can be salvaged, repurposed or recycled. You can use the recycled wood, ceramics, etc. to refurbish your home with new material and donate whatever you cannot salvage to the local recycling center. By committing to such a set of processes, the wastefulness of material is brought down to a minimum and you’ll definitely be able to sleep soundly at night, knowing that you have contributed to the preservation of the local biome integrity. Humanity definitely needs to start changing their habits. The irresponsible behavior towards the environment does affect the entire biosphere, but it is us who are suffering the consequences too. Opting for some of these green renovation ideas for your home, you might just contribute to a change in the course of ecological deterioration. We cannot save the planet because the planet doesn’t need saving. If humanity disappears tomorrow due to the consequences of self-caused climate change, nature will find a way to persevere. This means that, above all else, we have to turn to green thinking and living in order to save ourselves.